Levante gets to this match on a low point of their season. Los Granotas have not won any of their last four games, with two draws and two losses to their name. Their most recent game saw Paco López's side earning a 2-2 draw against Girona at Ciutat de Valencia Stadium. Barcelona's form prior to this game couldn't be better. Ernesto Valverde's side has won six of their last seven, including a 5-0 away win against Levante before the league's Christmas break. The Blaugrana crew defeated Getafe in their last outing with a 2-1 score at Coliseum Alfonso Pérez. How did Levante and Barcelona get to this stage of the Copa del Rey? Levante eliminated lower-tier team Lugo in the previous round. After a 1-1 draw in the first leg, Paco López's men went on to win at the Ciutat de Valencia with a 2-0 score, sealing their spot in the Round of 16. Barcelona had an easy Copa del Rey matchup against Cultural Leonesa. The tie was pretty much solved in the first leg, as Los Blaugranas won that away game with a 1-0 score. The second leg confirmed all suspicions as Valverde's men went on to win 4-1. This will be the second game between these teams in the current season. Barcelona destroyed Levante with a 5-0 score in their previous clash. Barcelona has beaten Levante in four of their last five visits to the Ciutat de Valencia, including two 5-0 wins, one in 2018 and the other one in 2015. Levante's last win against Barcelona ended Los Blaugranas' unbeaten streak in La Liga last season. Ernesto Valverde's team had gone unbeaten for 36 games, but Levante went on to win their Matchday 37 clash with a 5-4 score. Barcelona eliminated Levante in their most recent Copa del Rey tie. Los Blaugranas won their 2013-14 tie with a 9-2 aggregate. Levante - Injuries: Antonio Luna. Barcelona - Injuries: Rafinha, Samper, Umtiti, Vermaelen. Absences (technical decision): Piqué, Rakitic, Messi, Suárez, Jordi Alba. In Spain: TVE La 1, Gol. 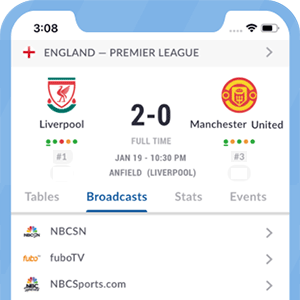 In the U.S.: beIN SPORTS, Radio Barca, beIN SPORTS en Español, beIN SPORTS CONNECT. In Canada: Radio Barca, beIN SPORTS CONNECT Canada, beIN Sports Canada, beIN SPORTS en Español, DAZN.